Can you believe that it is the end of August? I know I am in shock. Probably not so much with how quickly this month has gone but more that we are about to enter September. I'll get to that at the end of this post. Let's talk about all the things that I have been loving in August! 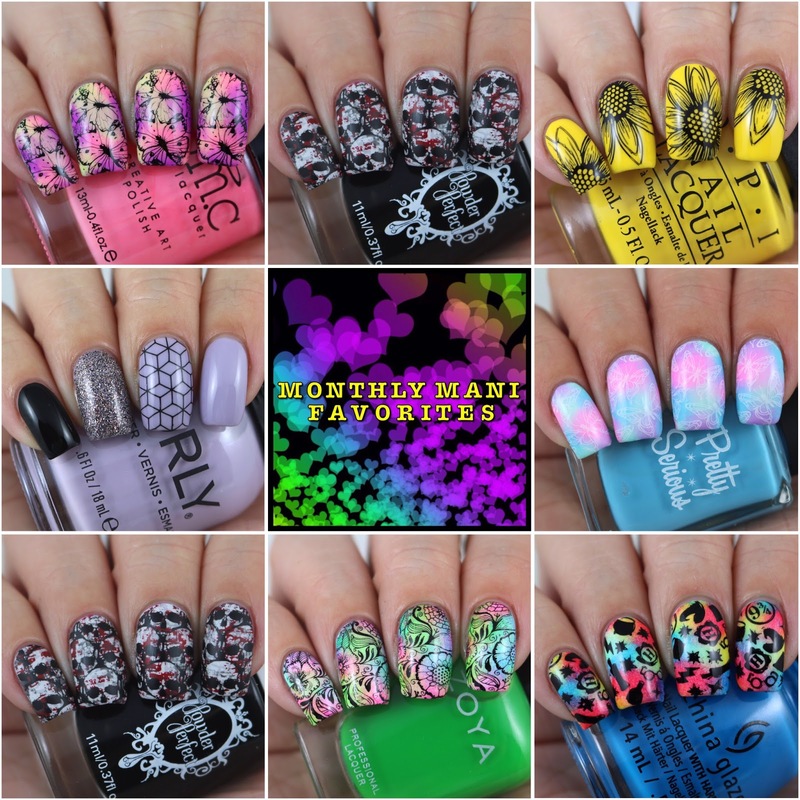 I feel like this month has been full of nail art and nail art related products here on my blog. 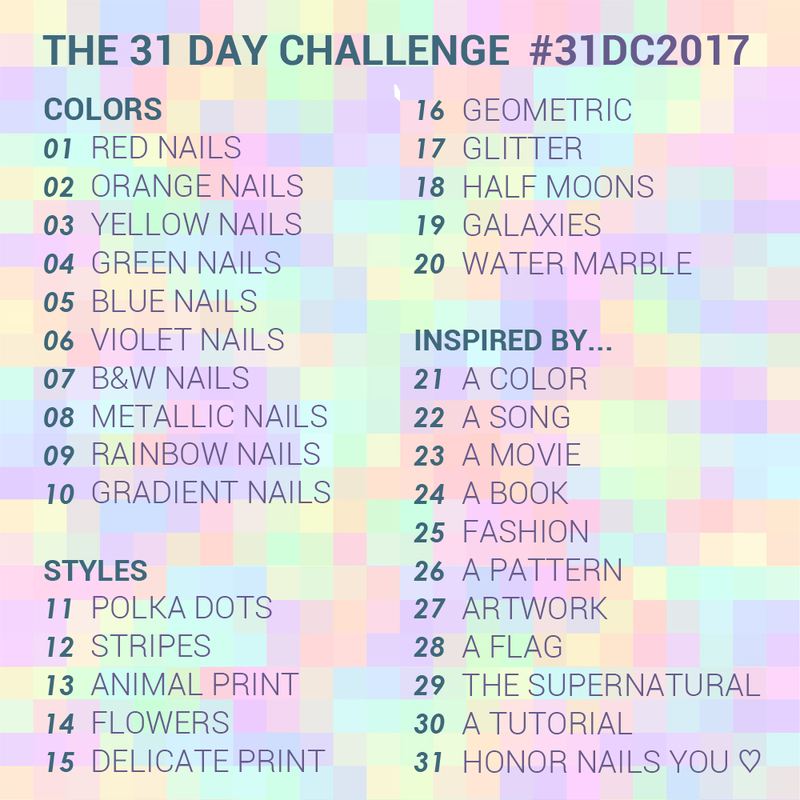 Like usual, it means that I have a heap of nail art favourites again this month. I am seriously going to struggle when it comes to doing my favourites at the end of the year. Eek! I have been trying my hardest to swatch my way through my "to swatch" pile of plates and I am happy to report that I am sooooo close to being able to say that I have swatched all of the plates that I purchased last year and this year. There are only three plates to go! Woohoo! It's probably no surprise that this plate is here. 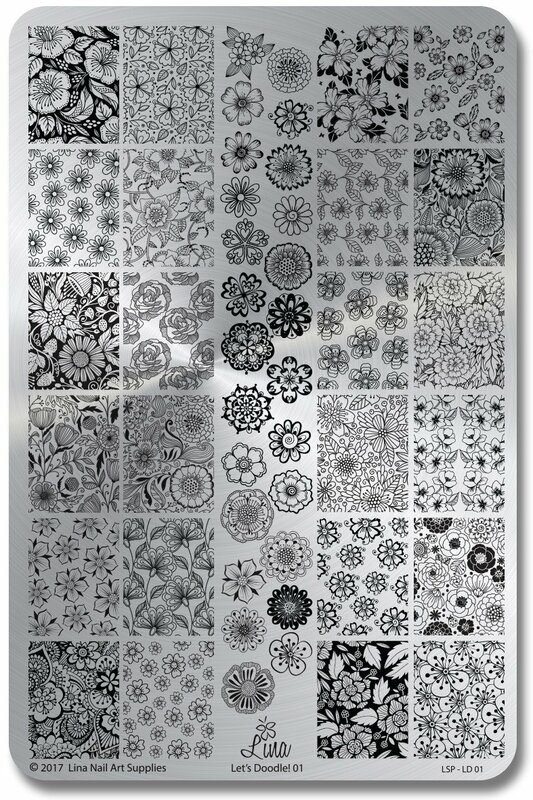 It's floral and has a heap of full sized images. Love it! You can see how I used this plate here. 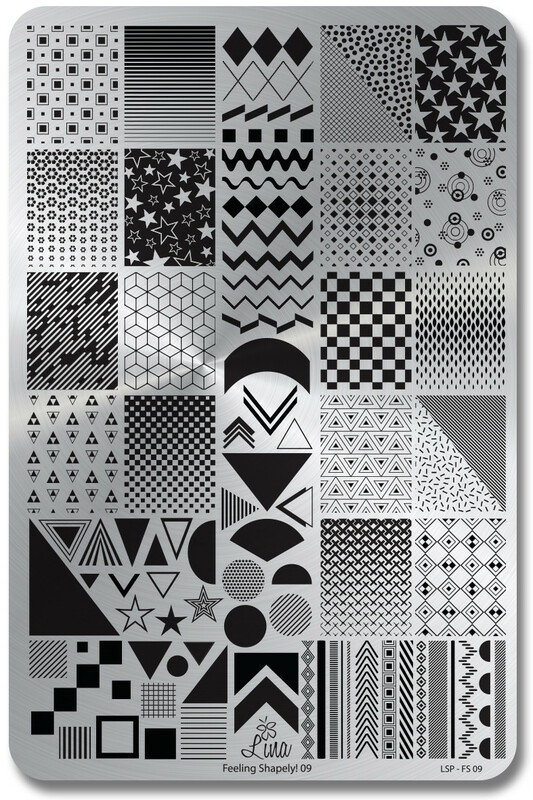 The Feeling Shapely series of plates are still among my favourite plates that Lina creates. There are just such create images on the plates. 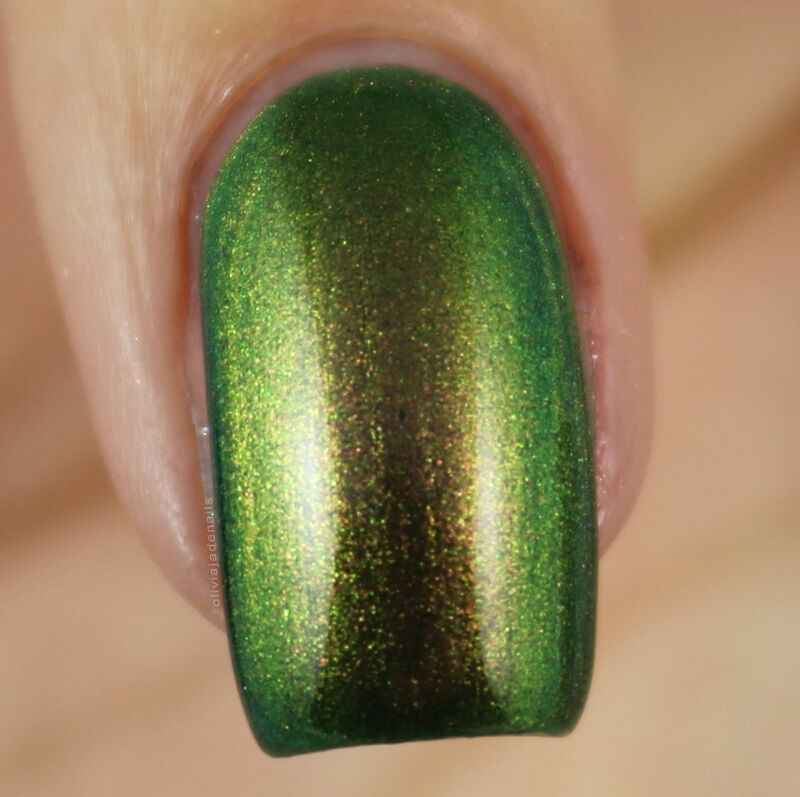 You can see my swatches and review of Feeling Shapely 03 here and Feeling Shapely 09 here. I was lucky enough to be sent some stamping polishes from Clear Jelly Stamper and I am so impressed. They come in small bottles, but you can definitely get a lot of manis out of them. A little bit goes such a long way. I will definitely be adding more to my collection. You can see the post for these polishes here. 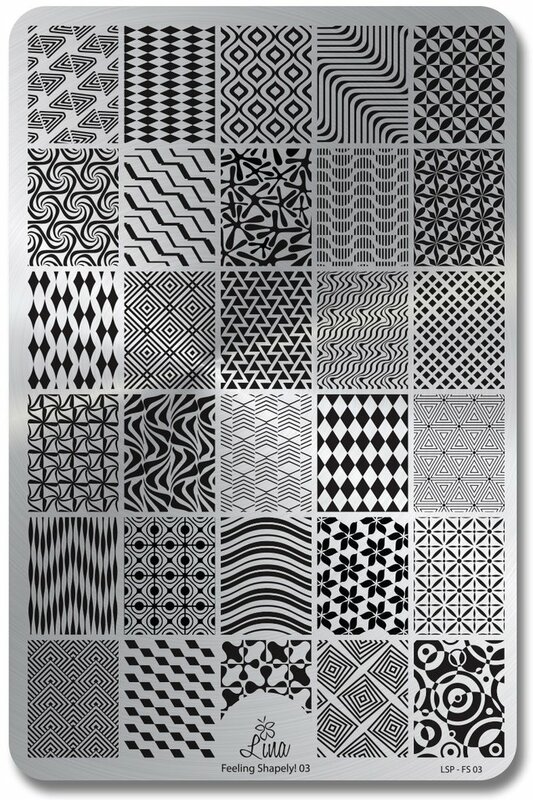 You can have all of the stamping plates and stamping polishes in the world but if you don't have a decent stamper then they are kinda pointless. 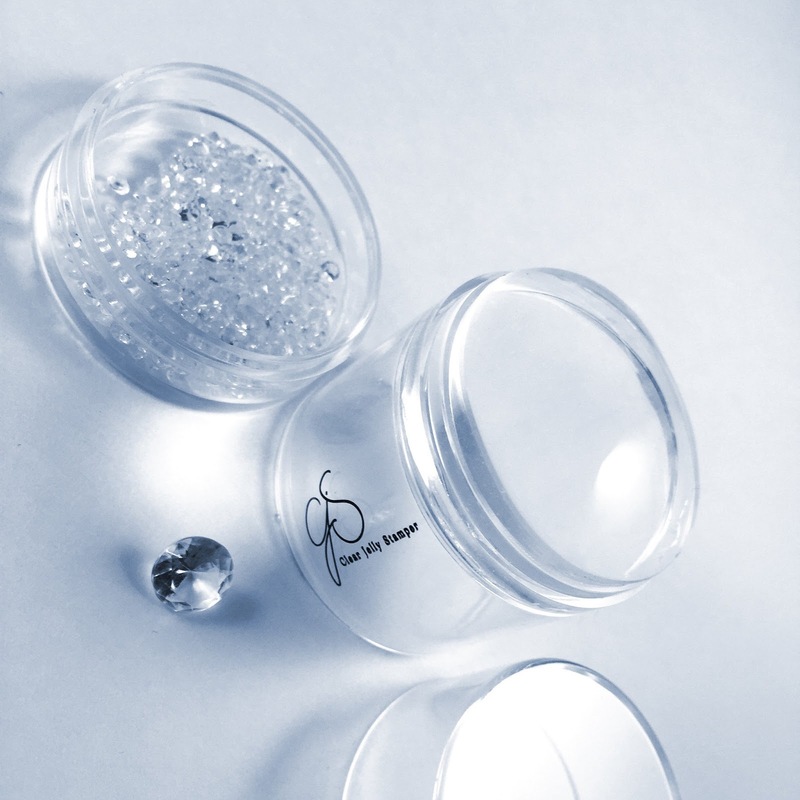 I have fallen head over heels for the Clear Jelly Stamper Big Bling XL Stamper. It doesn't need priming, it's squishy and is yet to fail me. You can pretty much guarantee that all stamping manis from me will be done with this stamper. Indie polishes have definitely made up the bulk of my swatching posts this month, and I am more than ok with that. These indie girls definitely make some of the most amazing polishes! This month Celestial Cosmetics released the Stars Collection (you can see my swatches and review of this collection here) and there was one standard out for me - Stars In Out Souls. I'm pretty sure that I end up with at least one Emily de Molly polish in my favourites posts. Hayley definitely makes some of my all time favourite indie polishes! I'm currently wearing one of the August releases and I am loving it! But more about that in another post. A Minute To Spare is the contribution to the Aussie Indie Con VIP bag and it's easily my one of my favourites from the bag. You can see more swatches of this polish here. I only picked up three out of the four polishes from this collaboration and I love all of the ones that I have. Such stunners. You can find my original post here. It only took me about 100 years to get around to swatching Femme Fatale's There & Back Again Collection (well part collection - I didn't buy them all). While I like the majority of the ones that I purchased there were definitely a few standouts - Wandering Wizard, The Necromancer and My Precious. 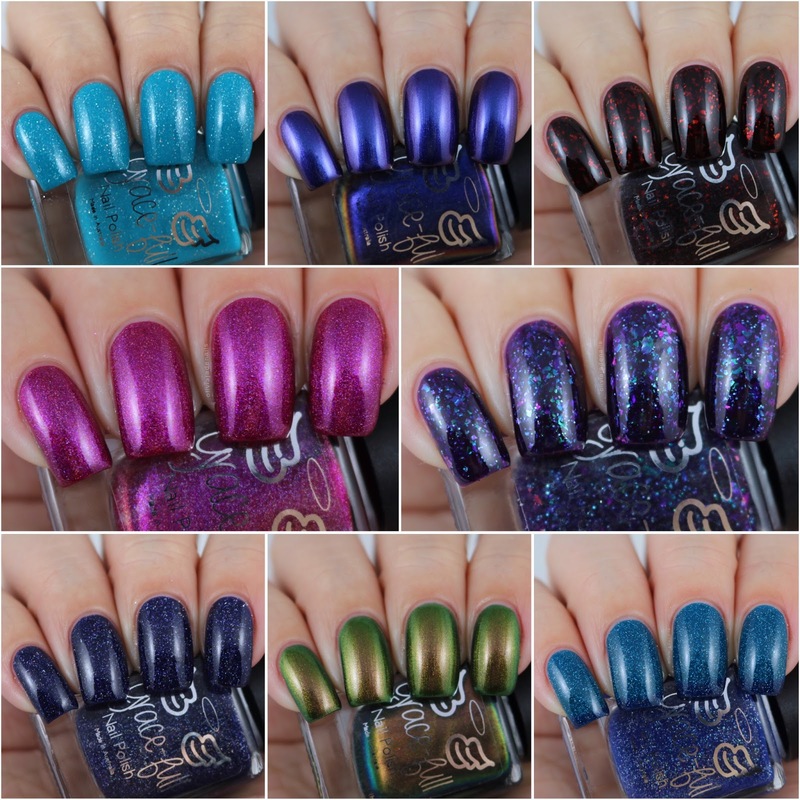 You can see more swatches of these polishes here. 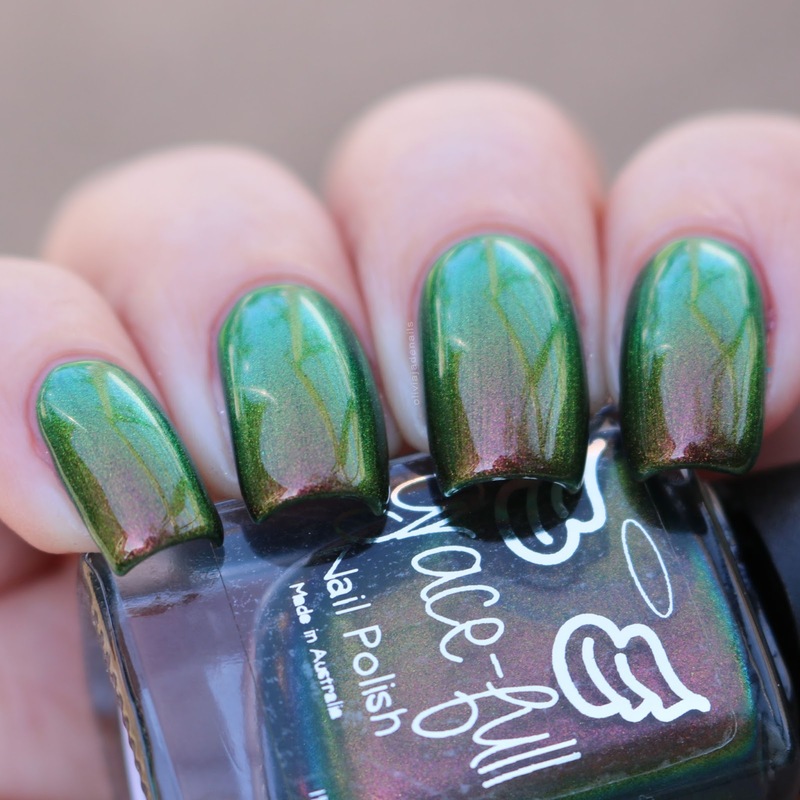 This is another polish from the Aussie Indie Con VIP bag that I absolutely love! Such a stunner. You can see more pictures of this one and the others in the bag here if you are interested. 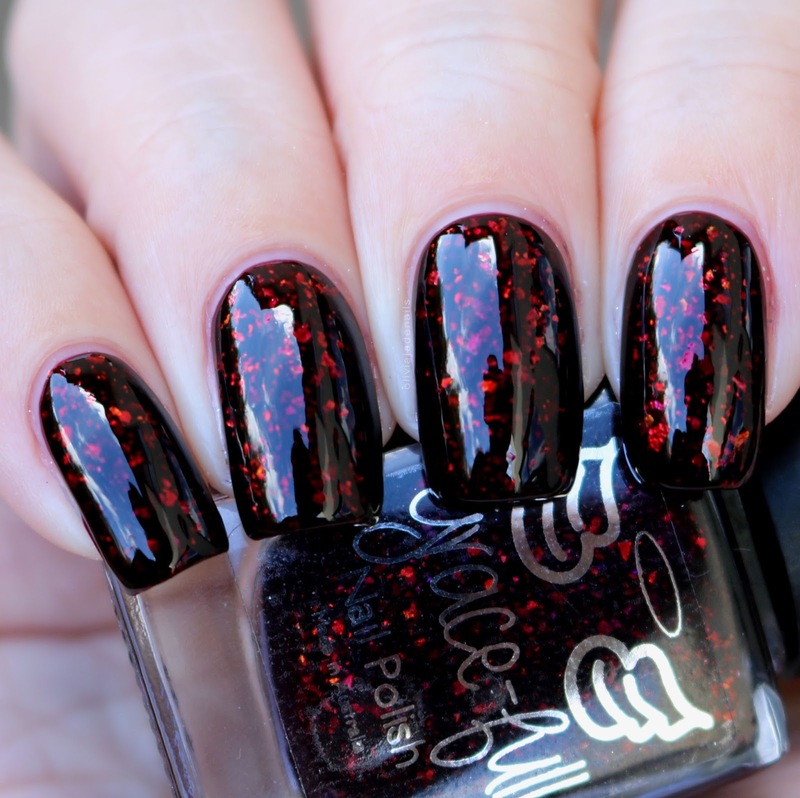 I'm sure it's no surprise that these two polishes have ended up here in my favourites post. You can find my original post with these polishes here. While I am a big fan of the Warren Sisters Collection there are three that have made it into my favourites - Book Of Shadows, Premonition and P3. This collection is definitely worth checking out! You can see my swatches and review here. 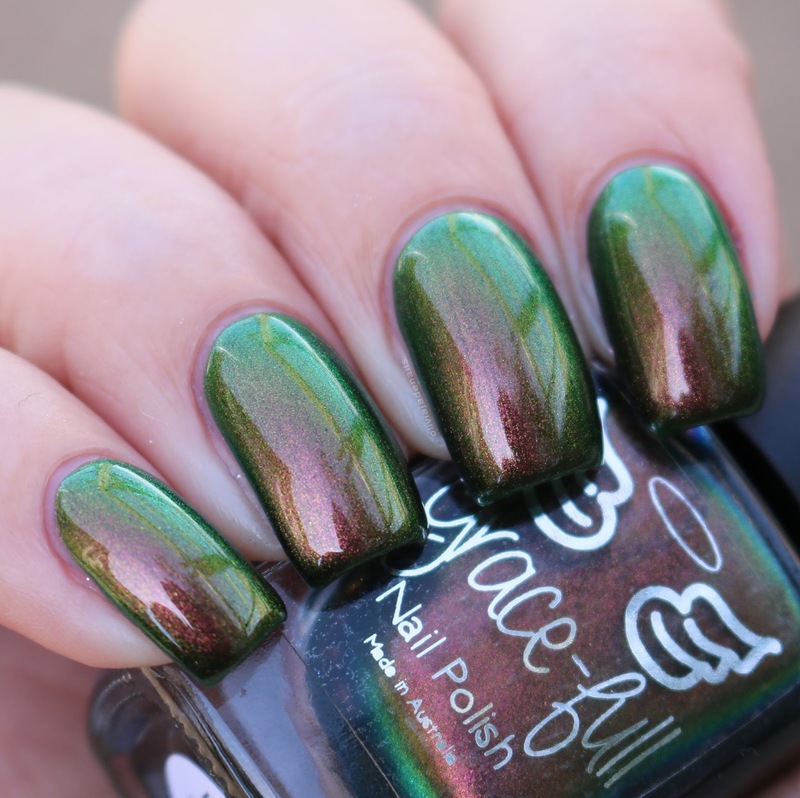 This is the last polish from the Aussie Indie Con VIP bag that I loved! So pretty! 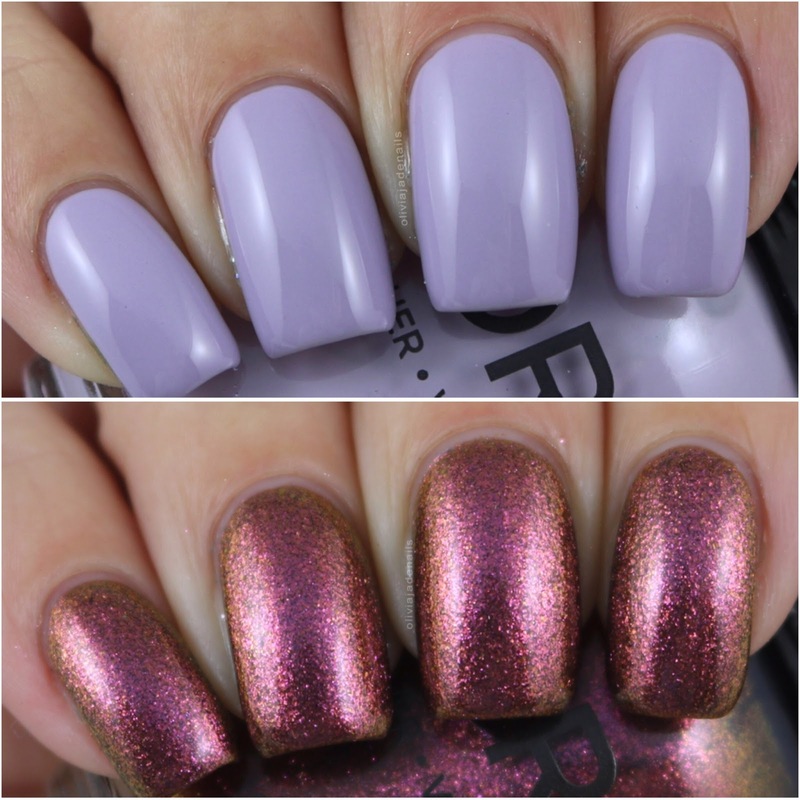 Powder Perfect have a few polishes being released this month and Perfect Storm and La Lune are definitely my favourites. Both are such great polishes! You can see more swatches here. It's definitely been a quite month on my blog for the mainstream brands and a heavy focus on the Fall collections (not that there is anything wrong with that). If you saw this post then you know that I wasn't too excited for this collection when it first arrived but I very quickly changed my mind when I swatched them. The formulas across this collection are amazing! Definitely a fantastic fall collection worth checking out - you can find my original post here. 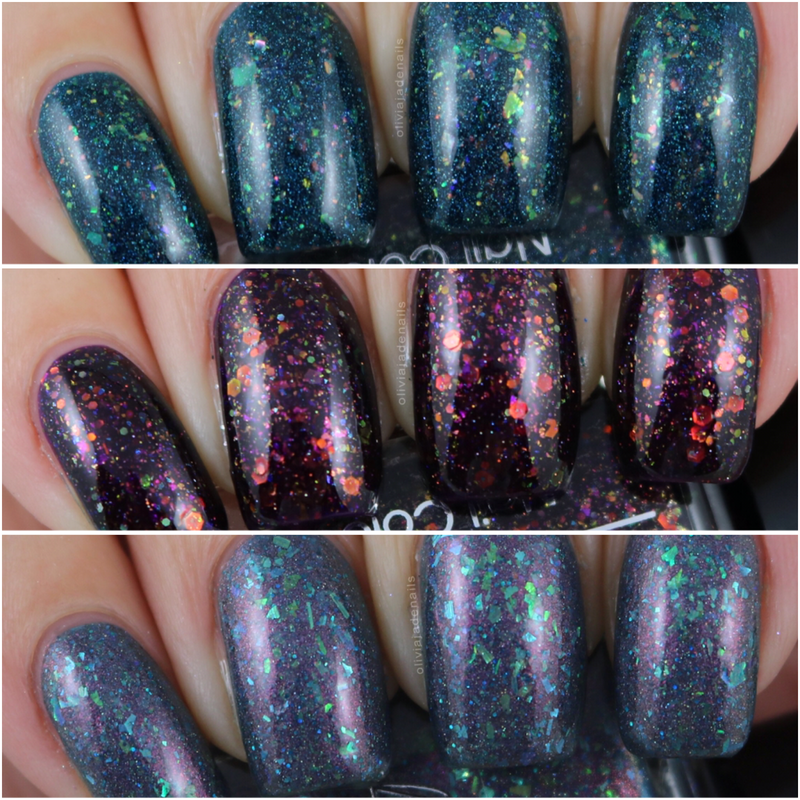 I have some serious love for both November Fog and Velvet Kaleidoscope from the Velvet Dream Collection. You can see the original post of this collection here. That rounds up all of my favourites for August. I am seriously going to struggle picking my favourites for the entire year. Maybe I should start trying to work those out now? Lol. I hope to see lots of you guys join in the fun next month! Hands up who was a fan of the TV show Charmed? I remember watching it when I was younger with my mum. I can't say it was my favourite show in the world but I did watch it on a semi regular basis. Why am I talking about a TV show on a blog about nail polish? Because Grace-full Nail Polish are releasing a new collection called The Warren Sisters and is inspired by the TV show Charmed. 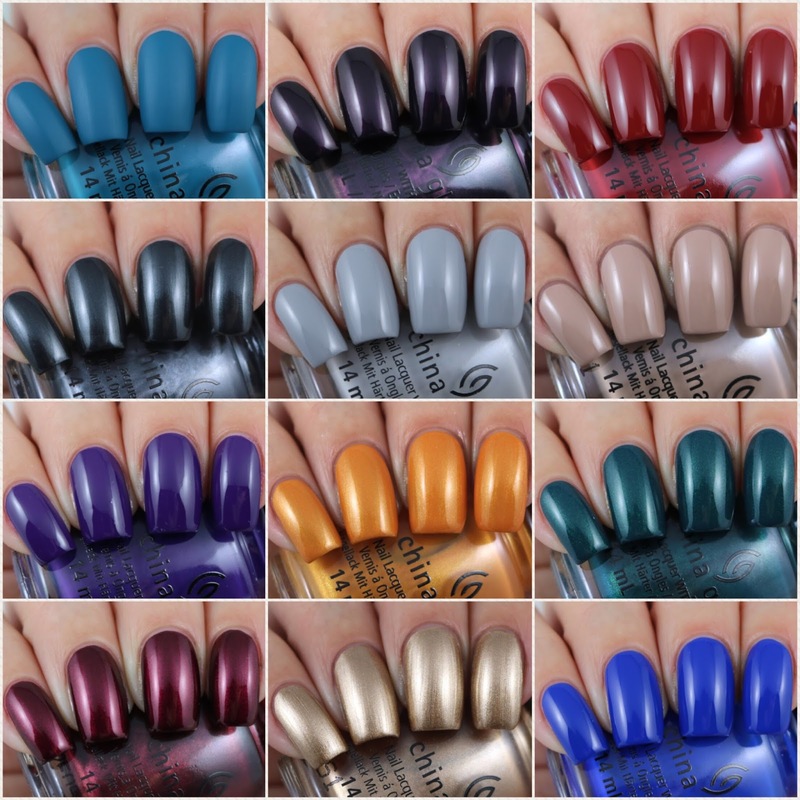 This collection consists of eight polishes with different finishes. This post is going to be very picture heavy. 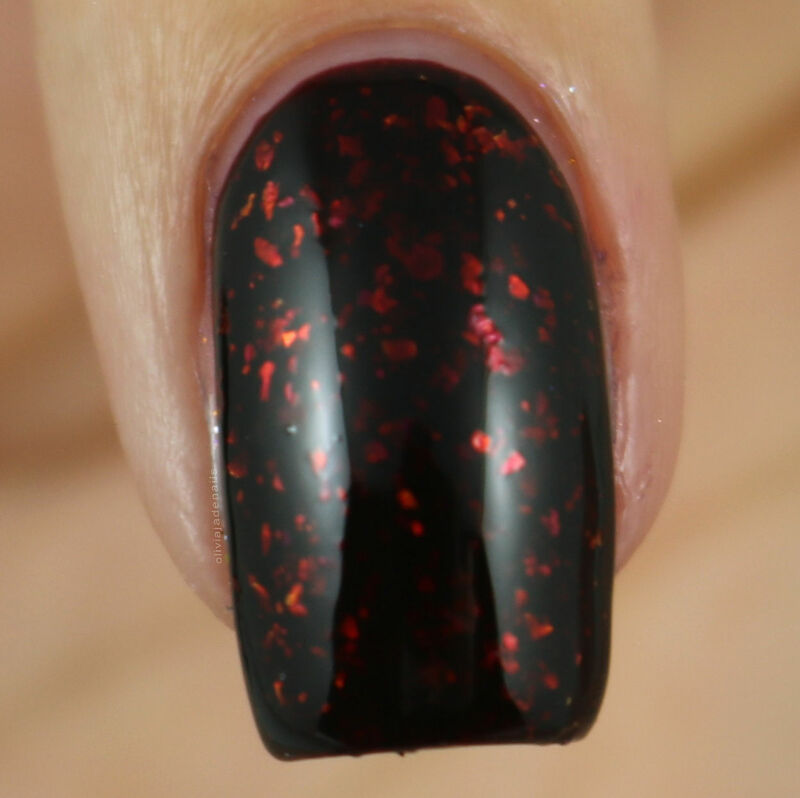 Balthazar is a deep deep red jelly with red and flashes of gold flakies. I'm not sure my pictures really do this polish justice. I really like the depth this one has. I used three coats for my swatch but you can get away with two coats. 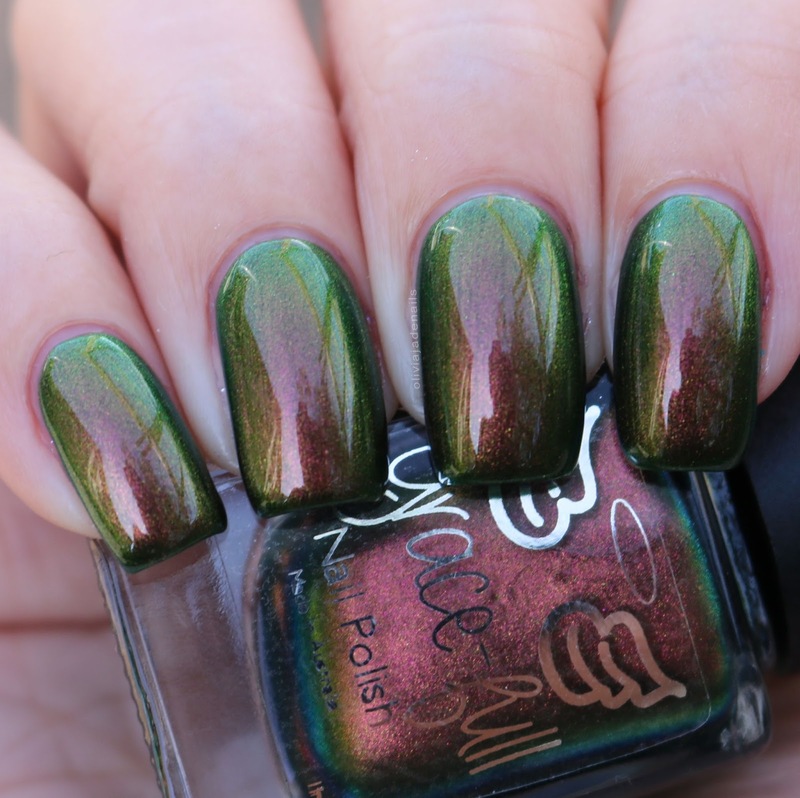 Book Of Shadows is a green to gold to copper multichrome. I love this one. The colour shift is fantastic and the formula is great. I used two coats for my swatch. Freeze is a navy blue in it's cold state and a deep teal in it's warm state, with silver holo glitter. That's right, Grace-full Nail Polish has a thermal polish (well actually there is two in this collection). I like this polish in both the warm and cold states. I used two coats for my swatch. Orbing Beauty is a deep purple jelly base and packed full of ultra chameleon flakies in pink, purple, green, blue with pops of holographic glitter. I think this is really pretty and I love the glitter/flakies. The formula is easy to use. My swatch shows three coats. P3 is a multichrome that shifts from blue to pink to purple. No surprise that I love this one. The colour shift is even more obvious in person than what my pictures show. The formula is great and is opaque in two coats. Premonition is a deep pink linear holo. This one is amazing! I love the colour and the formula is awesome. You could easily get away with one coat. My swatch shows two coats. Telekinesis is a deep blurple jelly and is fully of holo flakes. Such a pretty colour with a great formula. I used two coats for my swatch. White Lighter is the other thermal in this collection. In its cold state it is a turquoise blue and moves to a very light grey in it's warm state. 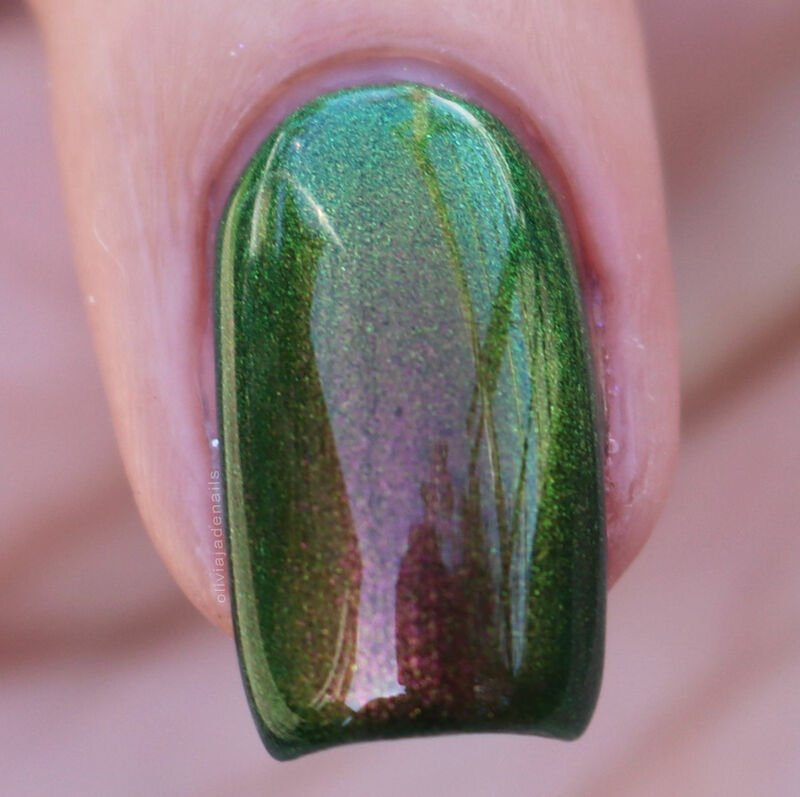 It has a pop of holo and iridescent glitters. This transition is good and the formula is easy to use. I like this polish in both the warm and cold states. I used three coats for my swatch. I am a big fan of this collection. I think there is a great mix of colours and finishes. My absolute favourites are Premonition, Book Of Shadows and P3. The Warren Sisters Collection will be released in Australia on September 2nd at 10am on the Grace-full Nail Polish Australian site. Unfortunately there is a delay in shipping to the US so there isn't a release date at this stage. 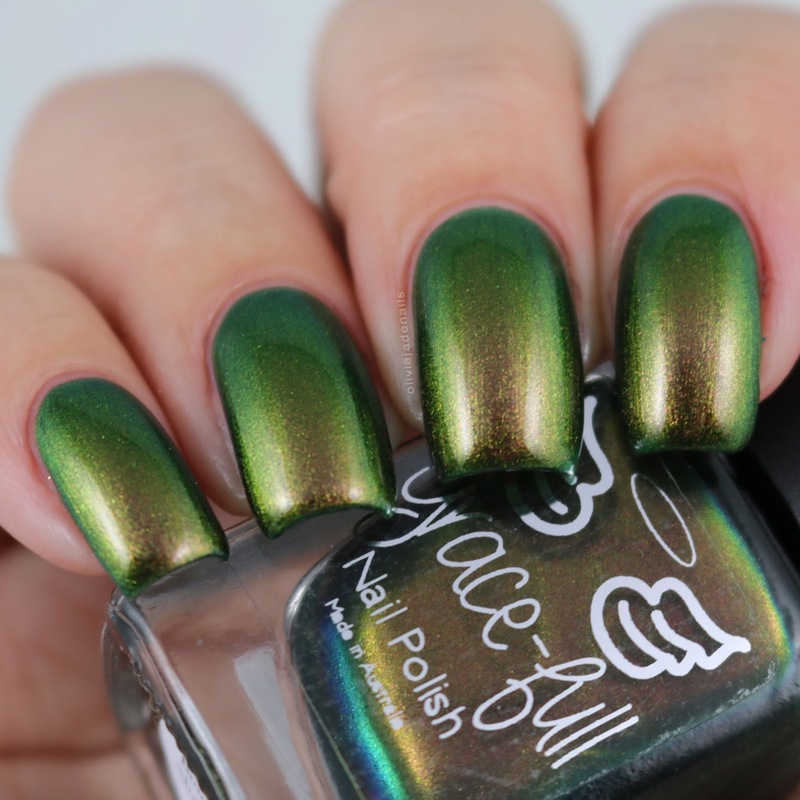 Make sure you are following Grace-full Nail Polish on social media for a release date.